Do you have an expensive heating bill? Need a room for your teenager growing up faster than you were prepared to handle? Want a quiet space for yourself? You may only need to look up, and not as far as you might think. Many homeowners have attics that are essentially wasted space, but they aren’t sure how to make them better. If that sounds like you, check out our three easy tips that will help you maximize your attic space! Even if you don’t renovate your attic space at all, you can probably make a few easy repairs that will lower energy costs in your home. Just like they say most of the body’s heat is lost through the head, most of a house’s heat can be lost through the attic if insulation is not properly installed. Since the attic often isn’t finished, the insulation typically is not as thorough as in the rest of the house. Don’t worry though, the link above provides simple and inexpensive ways to make your HVAC system’s job easier and make your bank account fuller. As important as a well-insulated attic is to keep costs down in the winter, a well-ventilated attic is just as important to keep costs down in the summer. If airflow is properly controlled, the HVAC system won’t have to work as hard to keep up with the sweltering heat, meaning your electricity bill is lower and you have more money to take the kids out for ice cream. Win-win. Luckily, improving your attic’s ventilation can be easy and inexpensive! 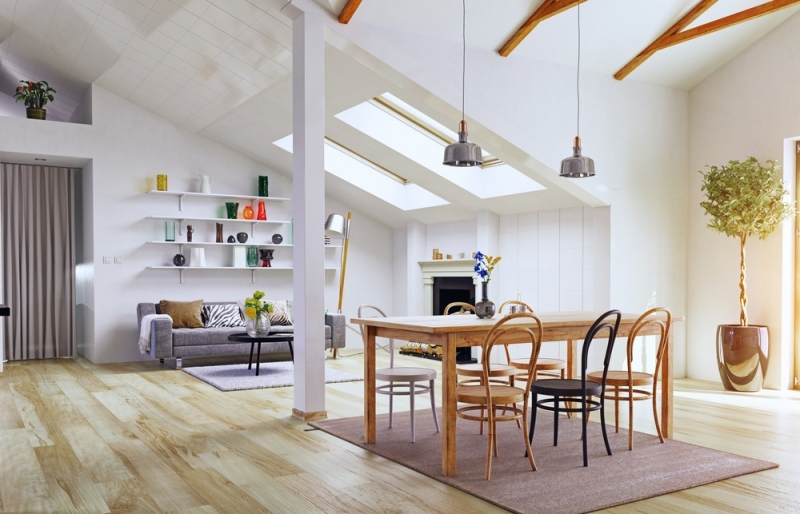 Whether you do a beautiful full conversion of your attic or just reorganize the space to make room for an easel or a couch, having a room to escape the hustle and bustle of a busy home can be a great way to bring some relaxation to your life. An attic can also make a great bedroom for a teenager if you’re running low on space but are not ready to give up your family home. If you just reorganize and put up a few fun or relaxing items, there is no need to involve outside help. However, if you are thinking of remodeling to make the space more inviting, make sure you follow the correct steps, including obtaining building permits, to avoid legal ramifications later when you try to sell your house. No matter how you choose to utilize your attic space, we hope these tips have given you some inspiration for improvement and that you don’t just leave it to collect old toys. Whether you decide to make some energy-saving repairs, or go all the way and create a whole new space for yourself and your family, make sure to consult a service professional if you are unsure about any step along the way. Whatever you decide to do with your newfound space, happy home improvement!